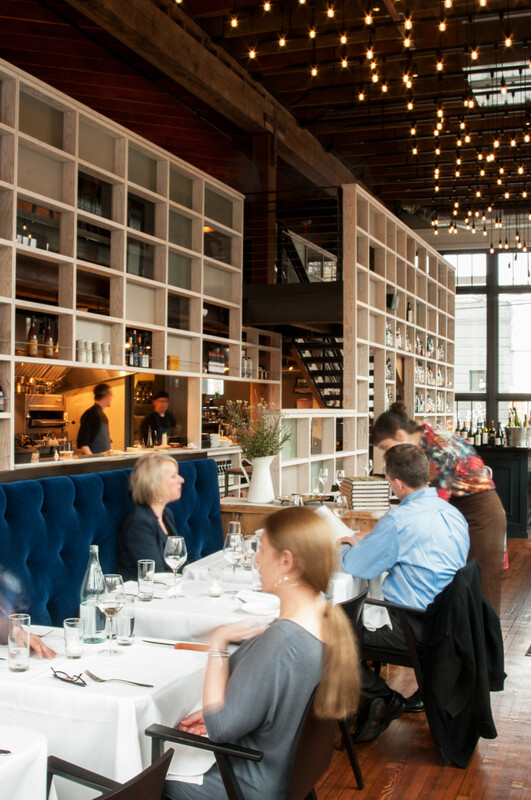 John Sundstrom recentlymoved his beloved Lark to the warehousey flank of Pike/Pine off Madison, spinning out a starlit space—indigo banquettes, white linens, a welkin of pendants overhead—as elegant as any in town. In the rafters: casual charcuterie and crudo bar, Bitter/Raw. Downstairs: Slab Sandwiches and Pie, where the daytime-only menu reinvents both genres. (The biscuity pie crusts exist at the corner of divine inspiration and butter.) Lark, that upstart pioneer of small-plate dining, is now the noble elder; grown-ups come for that disappearing species—relaxing high-end dinners—assembled from small plates or a combination of mains and Sundstrom’s famous grains.